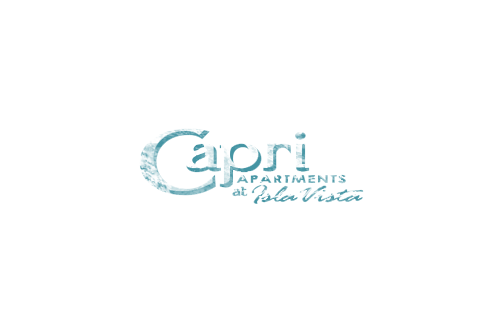 Capri apartment is nicesubmitted by JUNJIA M. - Feb 18, 2019 |Recommended: YesI moved off campus to live in Capri Apartment in my second year. The room is nice, the people are nice. Lovely, affordable and overall a great place to live.submitted by Fidel Y. - Jan 31, 2019 |Recommended: YesEveryone who lives here loves it because they're nice apartments and the people are even nicer. Clean, quiet, safe, friendly neighbors, helpful, efficient, and caring staffsubmitted by Andrew M. - Jan 14, 2019 |Recommended: YesPeople respect each other, it feels like a community. The facility is gated which makes you feel safe, when the rest of IV is going crazy. The gated parking alleviates any worries about car theft or vandalism, and gives you peace of mind. The staff and maintenance go above and beyond to be helpful and resolve any issues. The nature reserves nearby are great for study breaks and walks. Room and grounds were quiet and clean. Having full kitchen appliances is rare in IV, and was super helpful in cooking. There is a good amount of privacy, and it was easy to study at the desk in the room. Great Experiencesubmitted by Morgan - Jan 10, 2019 |Recommended: YesAfter the university housing royally screwed my roommate and I over, we were out a place to live with a month to go before school started. Capri had two spots open in a double and helped us through the application process quickly so we were able to submit before school started with little stress. The room we moved into wasn't clean--an issue they called the cleaners to take care of as soon as we reported it. Management and maintenance is extremely friendly and they've done friendly door-decorating competitions, snacks during finals, etc. From our room, we can hear the ocean at night. This place is super close to campus and really at the heart of IV--next to the co-op and nearly all food. I feel so blessed to have found this place. Only complaint would be some of the other residents will be loud and a few times the smell of weed has been strong I'm really sensitive to the smell . Honestly, though, that problem will be anywhere in IV and will change yearly. Great place to live. No issues so far.submitted by Sterling S. - Dec 21, 2018 |Recommended: YesIt’s chill, the maintenance guy is really on top of it which is nice. Nice property, helpful staff, too many plumbing issuessubmitted by Whitney B. - Jun 05, 2018 |Recommended: YesI liked living at this property. The staff is nice and helpful, the maintenance team is very efficient and timely. However, we had ongoing issues with our kitchen sink that were not fully fixed until the end of the year. Our upstairs neighbors were also very loud, sometimes very late at night. Other than those things I enjoyed my experience at Capri. Nice apartments great managementsubmitted by Clarissa B. - Mar 04, 2018 |Recommended: YesIf there is ever a problem with your unit or surrounding tenants then you can contact the management and they will take care of it very quickly. The apartments themselves are cute and cozy. The only downside is that if you have loud neighbors then you can hear them, but other than that it's a cute place to live. I enjoy the property.submitted by Kendrick U. - Feb 06, 2018 |Recommended: YesIt is a good living experience. I would recommend moving in with people you know. The staff has been very helpful.